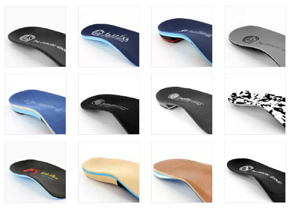 Our quality custom orthotics and orthopedic shoes help correct abnormalities and improve foot biomechanics. Custom orthotics fit into your shoes as comfortably as an insole - and they have the advantage of having been made from precise imprints of your feet. 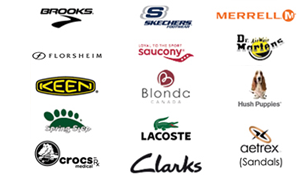 QUALITY CUSTOM ORTHOTICS & ORTHOPEDIC SHOES AT NO DIRECT COST TO YOU. All Extended Health Plans Accepted including ODSP and Ontario Works. Our quality custom orthopedic shoes help correct abnormalities and improve foot biomechanics. Attractive orthotic footwear, comfort shoes and safety footwear for all ages! Compression Stockings are designed to provide support to the legs and veins, assist with circulation, and minimize swelling. The compression is graduated, with the strongest support starting at the ankles and gradually decreasing towards the top of the garment. Compression Stockings help reduce the stretching of the vein walls and allow the valves to close properly and improves overall circulation. Prescriptions for any of the above Medical Devices can be provided by our MD's for insurance claim purposes.